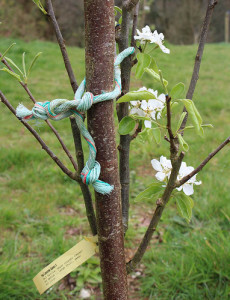 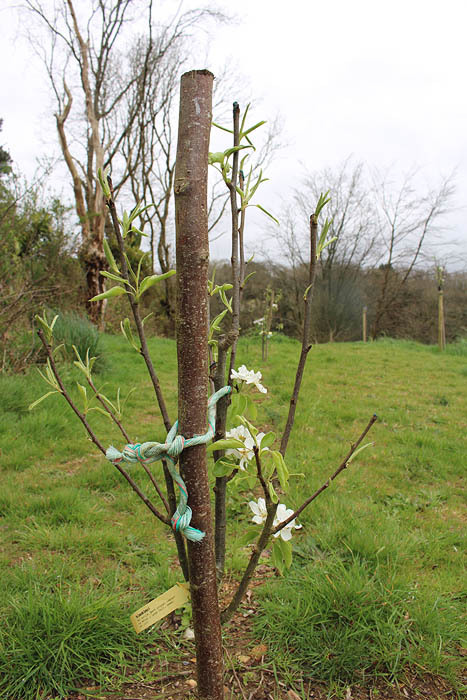 A Growing Relationship – Pear Trees! Here are some photos from Joel Gourmel showing them in April 2014..
Appropriately the pears are the variety ‘Concorde’. 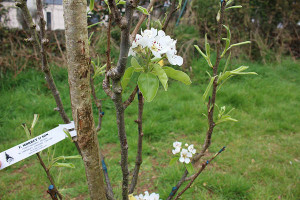 We’ll be keeping track of their progress over the next couple of years until they produce their first fruit.